Example of how to subclass the Workbook and Worksheet objects. 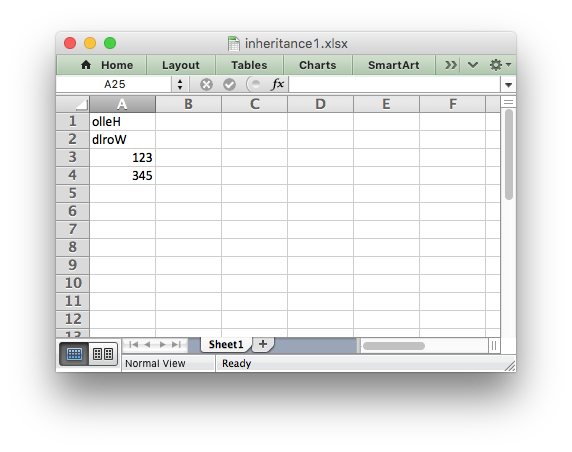 We also override the default worksheet.write() method to show how that is done. # override the default worksheet.write() method to show how that is done. # Reverse strings to demonstrate the overridden method. # Call the parent version of write() as usual for other data. # Write some data to test the subclassing.